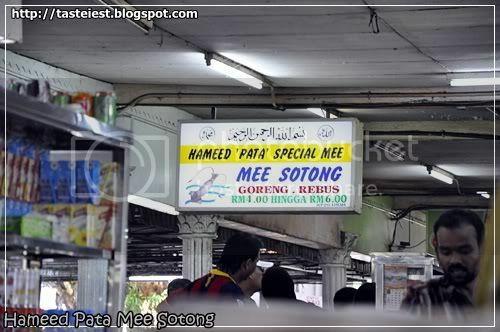 Hameed Mee Sotong is one of the very famous Mee Sotong where people queue for it during lunch time, I would call this multiracial food as Chinese, Malay and Indian are all in the queue waiting for their good food. 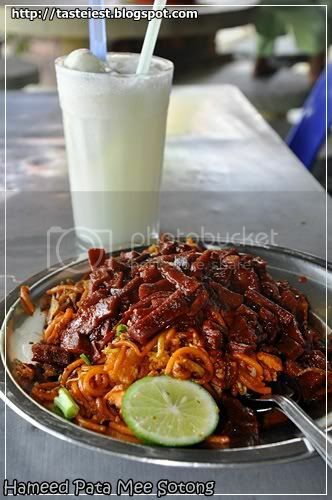 It situated at food court just beside Fort Cornwallis Esplanade, Penang. 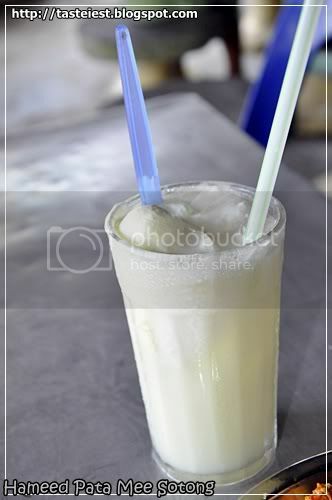 Well, before you started for the spicy Mee Sotong it better to get ready a refreshing drink and the popular drink here is Coconut Shake aka Coconut Ice Blended, it cost RM2.50 each but it definitely worth the price as it not only coconut blend instead it did add a big scoop of ice cream which give a creamy texture with coconut fragrance. Great combination and every table has almost the same order. 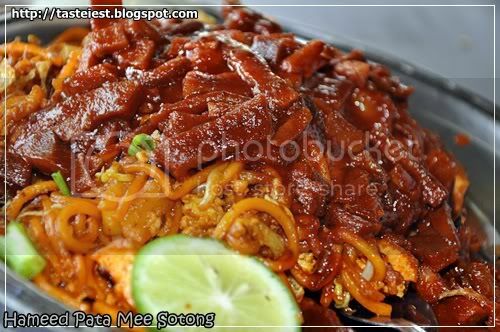 RM6 for a Mee Sotong is definitely not cheap but the amount of sotong given worth the value, amount of sotong that covering the whole plate. 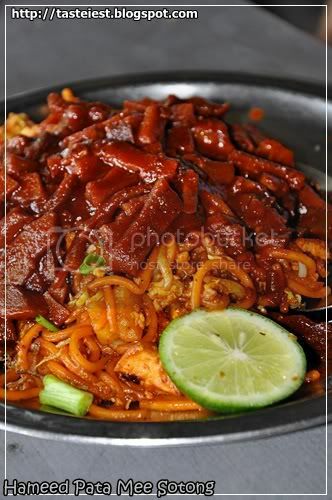 Sweet, sour and spicy is what the flavorful mee about, all three flavor is very strong and it gave strong oomph tasting. Sotong is what really delicious, at first taste toward sweet side but just a while later the spicy taste surface, making you sweat and tear. Definitely a 5 Star dish, it so delicious but if you are not spicy lover just be aware as I saw a lot foreigner order and eat small portion of it and sweat like crazy.